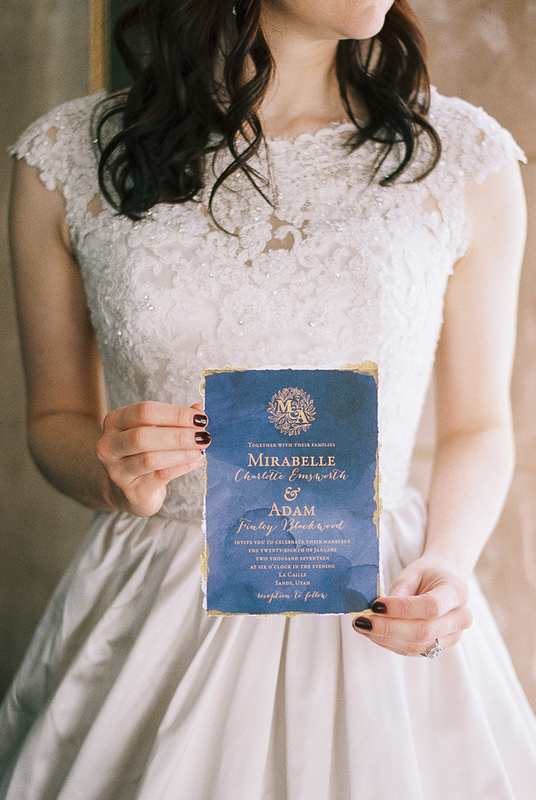 This wintry styled wedding was inspired by the beloved Disney film, Beauty and the Beast. We wanted to incorporate the strong symbolism of the rose within our wedding invitation design, so we created a custom rose monogram with the couple's initials. 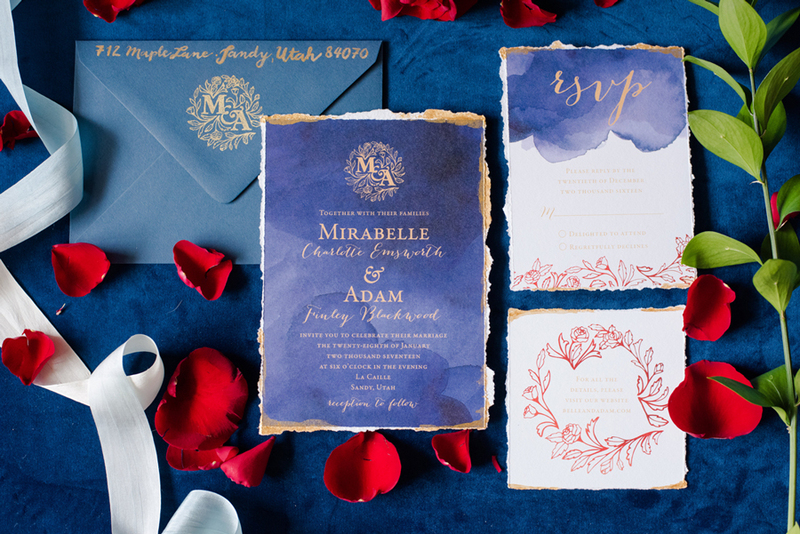 Beautiful deep blue watercolor washes created a beautiful backdrop for golden lettering. The hand torn edges painted with gold added a romantic feel to the suite. This style shoot was featured on Inside Weddings.